The modern justice system relies on AV technology for many different systems and processes. Using video conferencing for remote testimonies and presenting evidence through high-quality streaming are just a few ways that AV is used daily. Here’s how AV, and AV over IP in particular, can help jurors, lawyers and other members of the legal system process evidence, present cases and serve justice. Every industry has specific challenges to face when it comes to integrating professional AV systems, just like every industry will be using that AV for a different purpose. AV that works for the military won’t work for hospitals, and sports arenas won’t use professional AV for the same reasons as museums. But on a grand scale, most businesses use professional AV for things like wayfinding and advertisement, or entertainment in some cases. This isn’t the case for modern courtrooms. 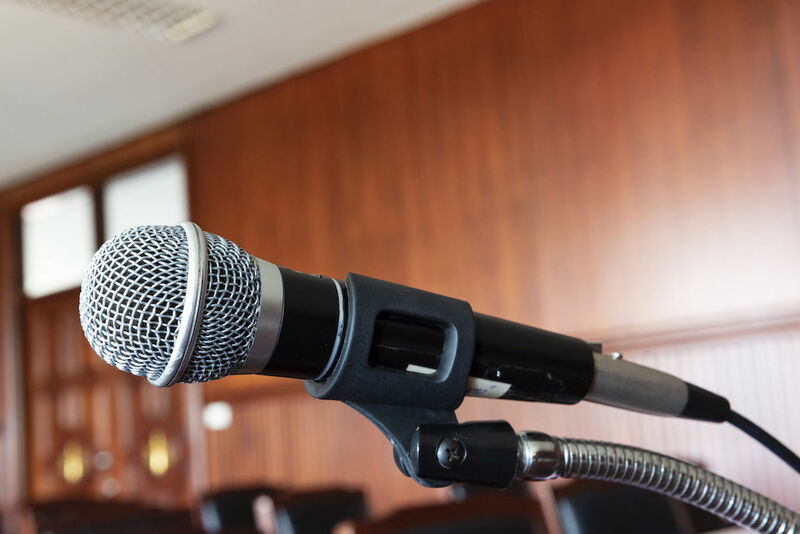 “A typical courtroom application will comprise a sophisticated suite of AV technologies, including discreet video cameras with associated multiplexer units, presentation audio with microphone, speaker and speech reinforcement systems routing to mixers,” ProAV states. But this is just the foundation for courtroom AV, and traditional or outdated systems won’t be able to provide the sort of flexible, comprehensive service that modern courtrooms need. With more modern equipment, professional AV can change the way that cases are processed and received. 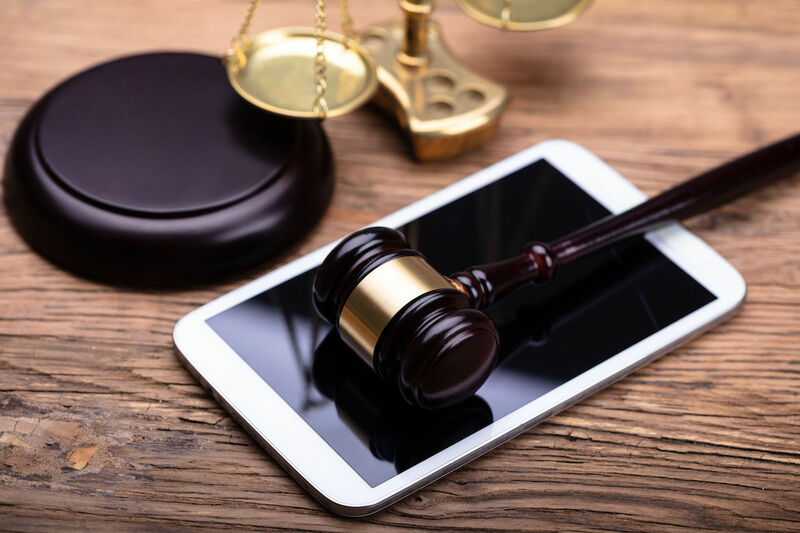 It can be used by attorneys who need to use it to present evidence, or for a multi-location case that requires broadcast capabilities for a remote audience. It could even be used to support remote testimony from a witness or an expert, InfoComm International explains. In other words, modern courtrooms need an AV integration that brings their trials into the 21st century, to make sure that their 21st century participants are engaged. Many courtrooms are upgrading from traditional AV to more complex, professional AV over IP systems. But what exactly are integrators and vendors bringing to courtrooms? ExhibitOne has had great success in setting up a projection display for courtroom depositions, as well as video monitors and large screen monitors for evidence viewing. They’ve also created an evidence cart that lets lawyers bring their own laptops or similar devices and hook them up to the AV system. AV over IP works because it is flexible, and able to accomodate the needs of a wide range of people. Another way for courtrooms to use AV equipment is to use touch screens. “Touch-screen technology allows witnesses and attorneys to highlight exhibits on any screen image,” explains Ken Crenshaw, an electronic recording administrator in Arizona. With the help of laptops and a touch screen, evidence can be annotated and simultaneously displayed across multiple screens around the courtroom. This, Crenshaw explains, is a much more effective way to litigate a case. Traditional courtrooms relied on sketches, photographs and physical documents to share evidence. This meant that jurors had to pass evidence around the room, which made trials last much longer. 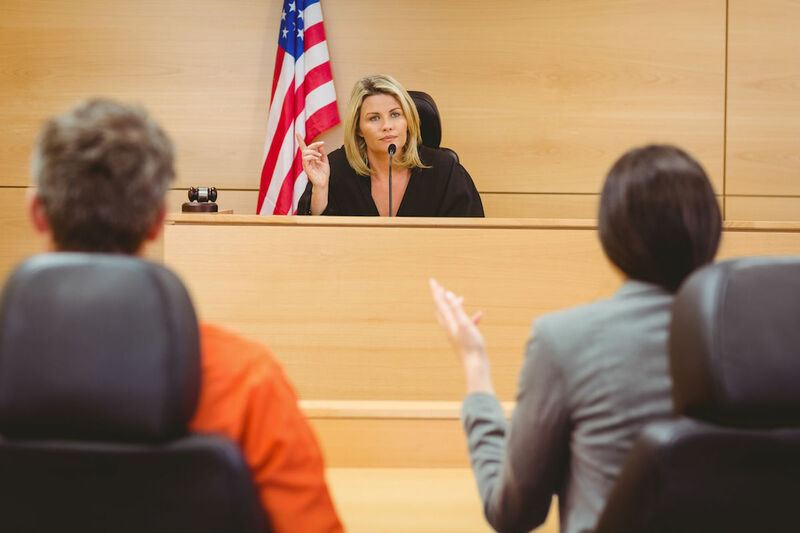 In addition to speeding up cases, AV over IP is a great option for courtrooms to adopt because it is consistent. This means that as more courtrooms adopt networked AV, attorneys and those who move from place to place won’t have to waste time trying to learn a new system. It also works with the tools that courtrooms already have available. Technology solutions provider Black Box puts it this way: “Why install new cabling for digital signage or AV signal distribution when you can use existing network infrastructure?” This is part of what makes AV over IP cost effective — it works with what is already available. AV over IP solutions also create a stronger user experience both for integrators and courtroom audiences. That’s because they “make it possible to distribute low latency, full HD, quality video content eliminating the technical and financial challenges of distance, image quality, scalability, flexibility and cost often associated with conventional matrix switcher workflows,” VCA Global explains. These are all benefits that can make courts more efficient. Evidence can be displayed clearer, in full HD, ensuring that nothing is lost in translation. And if witnesses are brought in remotely, there is less worry that something will be misheard or misunderstood. “Deploying multiple AV streams over a network is often the less complicated and far more flexible method to distribute audio and video content. By leveraging a standardized hardware and software platform for distributing AV over Ethernet such as SDVoE (Software Defined Video Over Ethernet) everybody can ensure quality of performance,” ZeeVee adds. When it comes to pitching or trying to integrate AV, there are a few things to keep in mind. As long as an AV integrator understands the importance of sound, they should be able to pitch the right kind of equipment for a courtroom. Security is another core concern of networked AV in courtrooms. However, there are plenty of ways to secure this technology. One of the main ways to do this, as My Tech Decisions notes, is to segregate AV over IP traffic and restrict access to AV over IP implementations. They should deploy the system on a dedicated IP network, stay updated on firmware releases and work closely with IT departments. As long as integrators are aware of how to secure the network, and are willing to work with IT teams to do so, networked AV can actually be more secure than traditional AV. AV over IP also helps courthouses keep pace with technological change and advancement. Such changes can help “redefine this end user experience and reset customer expectations,” states Jim Beaugez at Systems Contractor News. This mindset is part of what drove so many to create AV over IP solutions, and what made integrators adopt them. There are plenty of new AV over IP objects on the market, according to lists like this one from Adam Forziati. Several of these products could work well in courtrooms. For example, Booth N94 can be used to allow jurors to watch a testimony multiple times, using its recording and streaming capabilities. More and more integrators are adopting networked AV, and it will only get more popular — which is why companies like CIE are offering multiple classes on the system. This type of system is quick and easy to learn. Many industries have already seen the benefits of AV over IP. And those exact benefits can greatly improve the experience of everyone from attorneys to witnesses within courthouses. When pitching AV over IP to courthouses, integrators should focus on what is really important: how the technology can make the justice system better.